This Thursday (2/1) the CARNIVAL OF BAUER is going to take place right here at The Jack Sack! Many of you know the drill- we're looking for reviews, commentary, humor pieces and anything else "24"-related. If you would like to participate, please have your posts to us by midnight on Wednesday (1/31). 2) Use the Carnival submission form, linked via the button below. 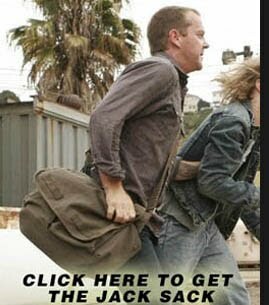 Special thanks to Jack Bauer of Blogs4Bauer for letting The Jack Sack carry the load.